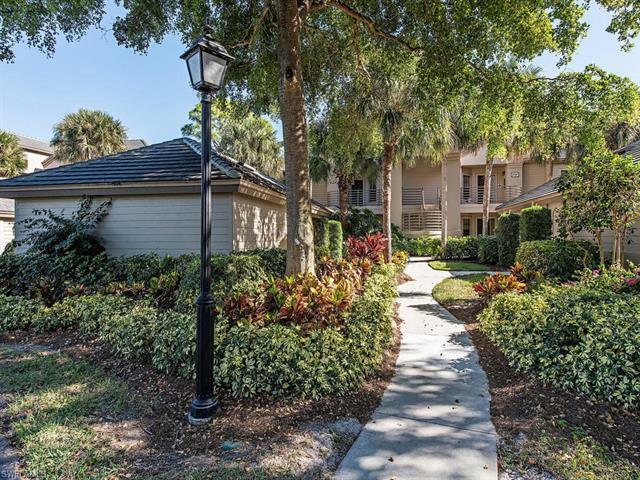 27191 Oakwood Lake Dr #101, Bonita Springs, FL.| MLS# 218082511 | Southwest Florida Residential Real Estate for Sale. C.15575 - Very desirable floor plan that offers large great room, updated kitchen with stainless steel appliances and granite countertops, and sliders that cascade open to glassed-in lanai. The master bathroom has granite countertops and updated shower. A true three bedroom, three bath plan is perfect when having family and friends visiting. Golf course and lake views from almost every window. This first floor condo has easy access with no steps and has detached 2 car garage. Oakwood has a community pool, spa, and tennis court.